The stunning Victoria Falls River Lodge in Zimbabwe has recently earned its place on the prestigious list of Virtuoso Preferred Hotels. 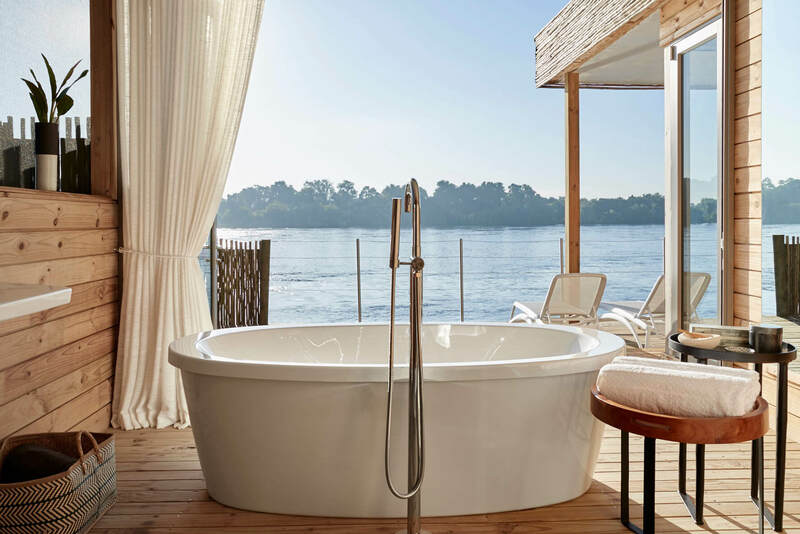 With only 1700 partner hotels, cruise lines and tour operators on their global portfolio, reaching Preferred Hotel status with Virtuoso is a massive achievement for Victoria Falls River Lodge, the Zambezi Crescent Collection’s pioneer lodge. 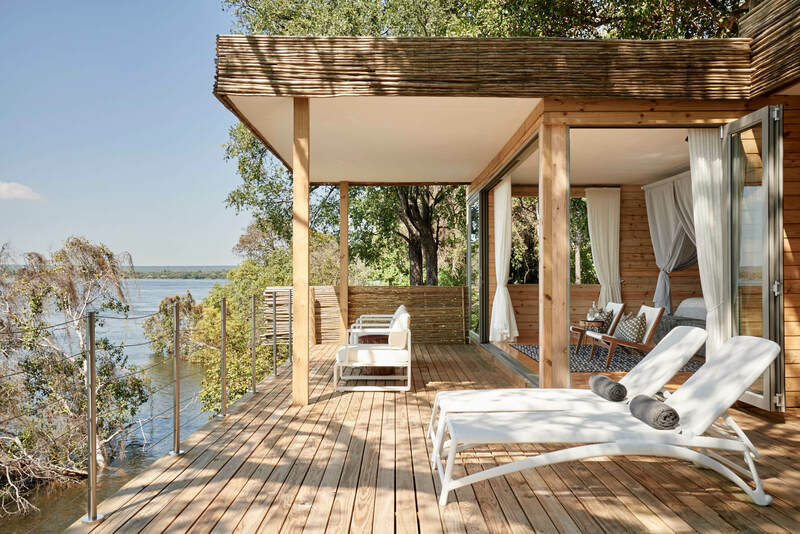 Victoria Falls River Lodge is perfectly positioned on the banks of the mighty Zambezi River just upstream from the iconic waterfall after which it is named. In fact, it is so close, that guests can witness the waterfall’s spray in the distance whilst relaxing on their suite’s private deck. 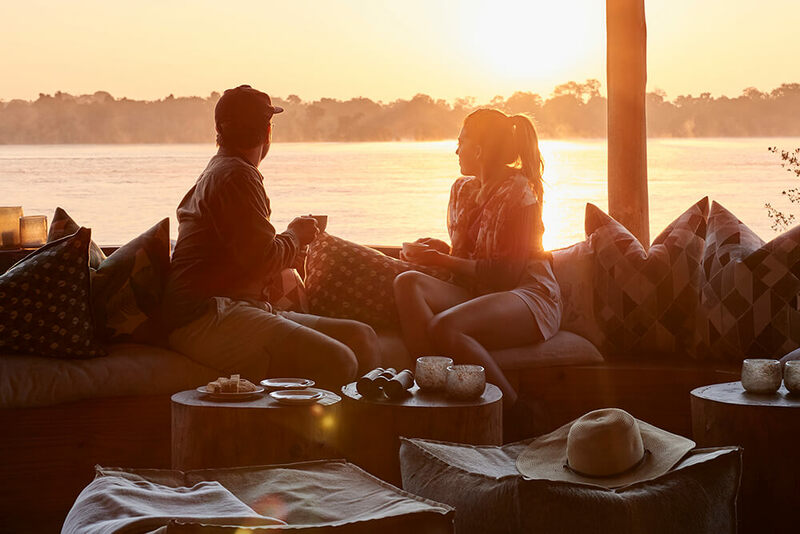 As the first private game lodge to be built in the Zambezi National Park, Victoria Falls River has pulled out all the stops to deliver a world-class experience to all its guests. 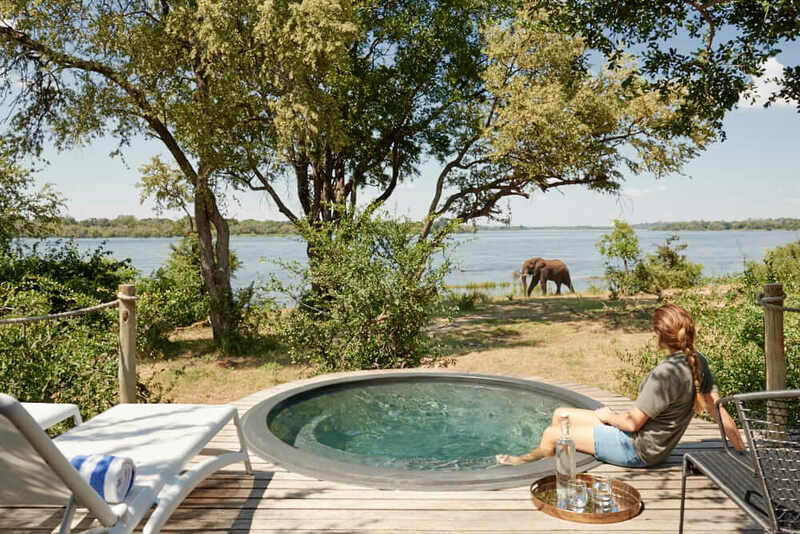 With only 13 Luxury Tented Suites on the riverbank and four Island Treehouse Suites nestled into Kandahar Island, discerning travellers will appreciate each suite’s private and peaceful setting. 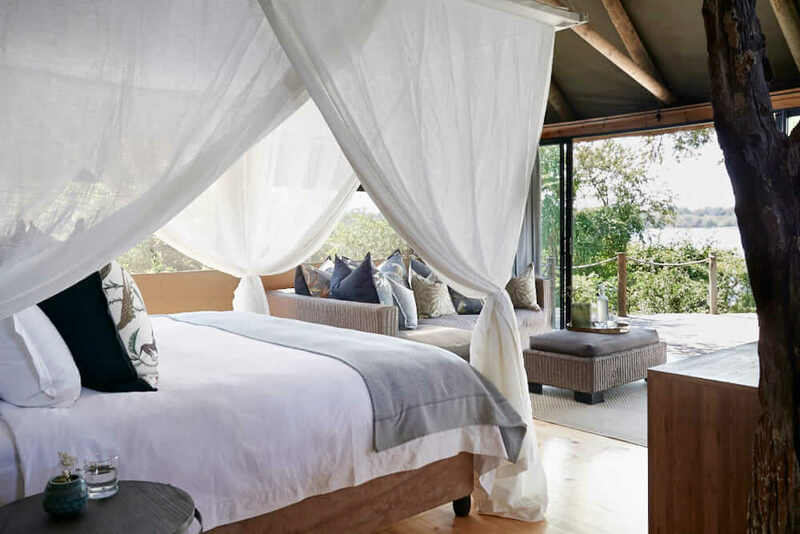 The Luxury Tented Suites are designed from natural elements so that they blend seamlessly into their surrounding environment. Thatched roofs complement the canvas and glass walls of each suite, with wooden flooring that extends into a private deck with a plunge pool. All suites are fitted with a larger than king size bed, comfortable sitting area, open plan bathroom with freestanding bath as well as indoor and outdoor showers. The Luxury Family Tent comfortably sleeps a family of five in adjoining rooms in order to balance parents’ privacy with their children’s security. 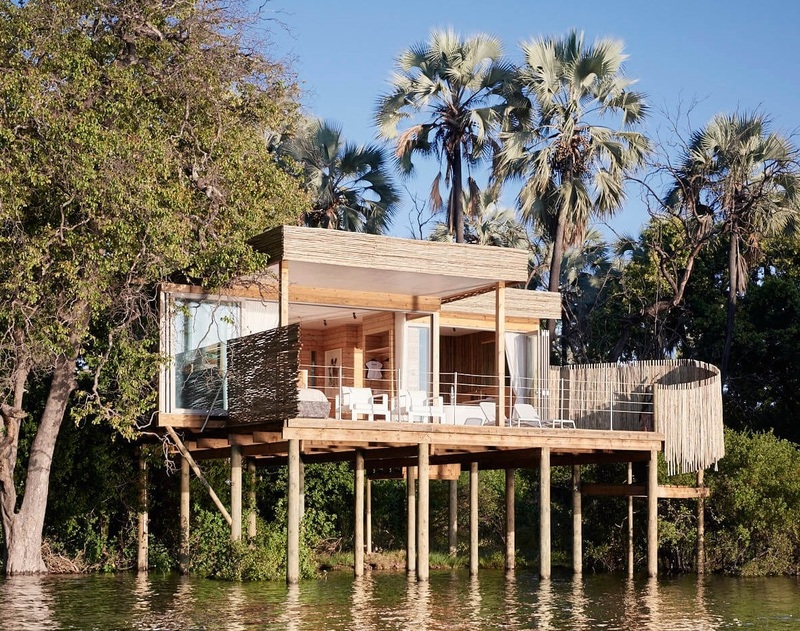 The Island Treehouse Suites are partly shaded by a leafy canopy and raised wooden decks maximise spectacular views of the Zambezi. Open plan living spaces accommodate two guests, with a California king sized bed and en-suite bathroom that has a free-standing bath and rain shower. 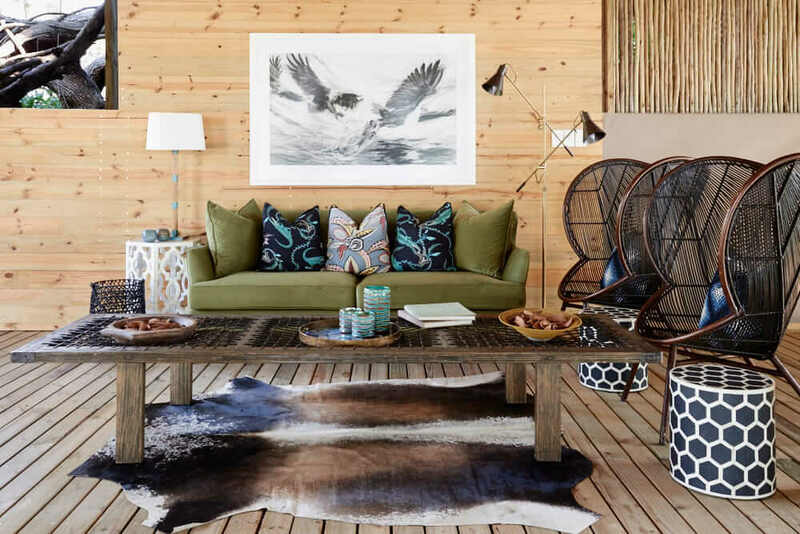 The common lounge, dining room and elevated sunset bar have been designed to offer guests tranquil and intimate spaces that naturally balance warm and cool temperatures through sunlight dappled by giant palms, mahogany and ebony trees. 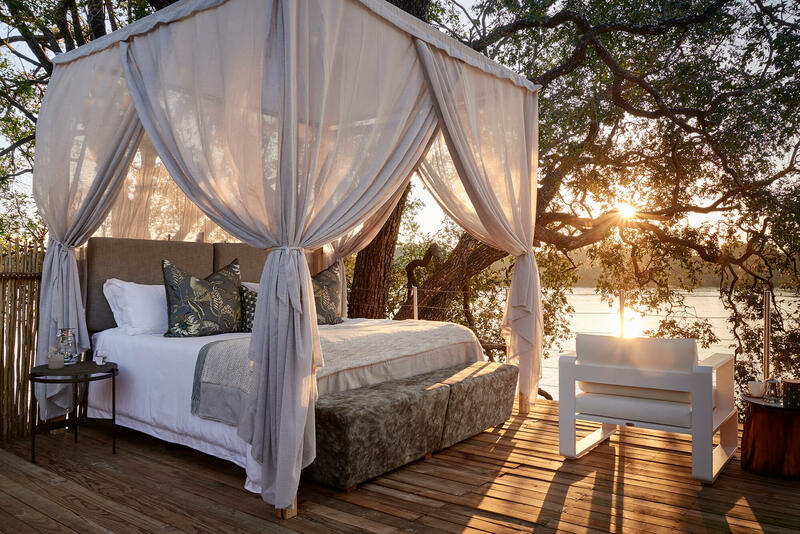 As if the Victoria Falls River Lodge couldn’t get any more dreamy, guests can sleep under the stars in the double-story Treehouse Starbed. Twin rain showers and vanities along with a unique rooftop sitting area make this an ultra-luxurious choice of suites. 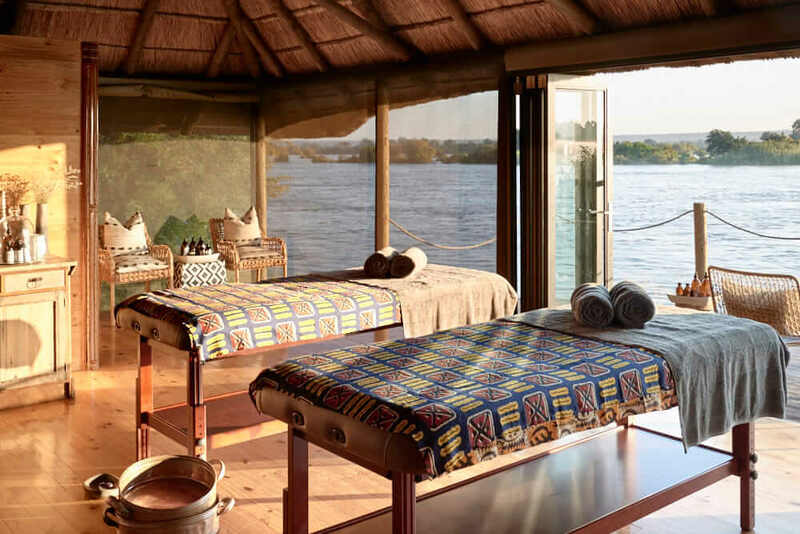 For guests who enjoy a good balance of relaxation and fun whilst on holiday, they can choose from a wide selection of leisure and recreational activities (both on and off site), including a pampering massage at the lodge’s day spa, a sunset boat cruise on the Zambezi or a tour of Victoria Falls. Contact us to book the exciting Book 4 Nights, Pay for 3 special that Victoria Falls River Lodge is running from January to March 2019.